Liverpool is famous for a few things. Number One being a small British Band, you may have heard of them, The Beatles. Oh and it was the birthplace of the Unsinkable Ship; Titanic. Not forgetting, it has a Premiership Football Club...not so exciting. However, it is known for it's history, shopping and great restaurants. As I have never visited this lively capital, I thought I would go and see what all the fuss it about. Want to see as much as the city as poss in 24 hours? Well keep on reading! * Disclaimer: I have added some affiliate links to this post, which means if you click and buy I will earn commission. I have asterisks the links to make you aware. Take a walk around Liverpool Harbour, if it's not raining of course! You can go to the Museum of Liverpool which tells the story of Liverpool's past or you can head to the Merseyside Maritime Museum and visit the Titanic and Slavery Museums. All Museums in Liverpool are free! What a bonus. It took me about 1 and a half hours to get round the Titanic and Slavery Museum. Jump on a Sightseeing Bus which is located to the right of the Martitime Museum. It costs £11 per adult for 24 hours and covers 13 stops around the city. Bacaro was suggested by a local and thank god I listened to them. An Italian small plates and Campari bar, this little haven serves delicious foods such as Chorizo & honey, Arancini, Charcuterie etc. 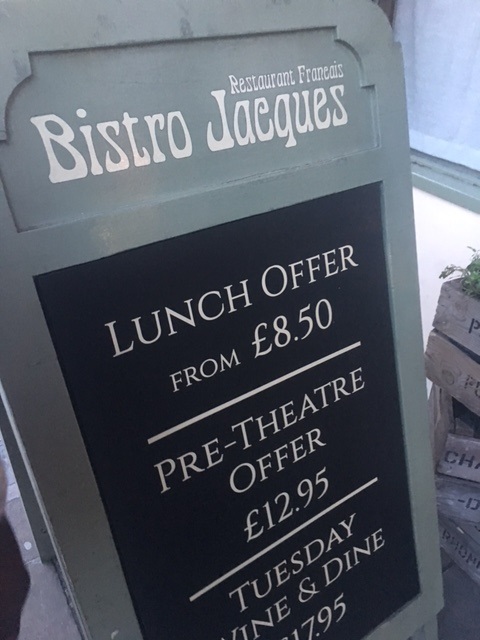 Lunch menu starts at £12.50 per person for 3 small plates. I sampled the elderflower bellini which is a must. Alternatively, head to Cheese & Company (just round the corner from Bacaro) which, you guessed it, serves a huge selection of cheese, meats and artisan breads. We got there when it was closing, but it looked so damn good I had to give it a big shout out. You can choose four cheeses for £12.50 and add crackers for an extra £1. I've got my eye on you until next time. We did head over the Cavern Club, for a quick 10 minute snoop around, y'know to say you've done it. As it's not the original location I wasn't going to spend much more on it. If you've got spare cash you'll need to head over to Liverpool One for over 170 stores. Peter's Lane is Liverpool's upmarket shopping district with names like Michael Kors, Flannels, and Reiss. The Harvey Nichols Beauty Bazaar had me for hours and worth every penny. Need a pick me up - Bold Street Coffee for a cup of Joe or Filter & Fox for an afternoon Cocktail. I am a lover of Gin and Elderflower, so if you are too, you need to order yourself a Cucumber Fizz Cocktail; delicious and refreshing! The Philharmonic is one of the most beautiful bars I have been in to. It's like taking a step back in time, it's ornate and lavish, so much so that the Men's toilets are carved out of marble! This gem is famous for it's Gin and Ale, luckily for us I love Gin (not sure if I've mentioned this enough) and Will loves Ale so it was the perfect pairing for us. A quaint and rustic French bistro only a few doors down from the Philharmonic. I was told to visit this restaurant by my future mother-in-law as it's her favourite in the city and as she grew up in Liverpool, it was high on my list to visit. It did not disappoint. The service and food was impeccable, serving quintessential French food. Fancy a night cap, head to Fly in the Loaf, a few doors down from Jacques Bistro.